See also Chevere Sundays for their Sunday event. The Cigar Bar is a really cool spot to hit up in the City. Located off of Montgomery, the Cigar Bar is a classy restaurant/bar that has salsa dancing every Friday & Saturday night. First there is the restaurant/bar portion, which is a nice sit-down restaurant serving some delicious appetizers and entrees. Some of the items on their menu include calamari, steak, and beef skewers, all of which are good and the price is in the $20 range. If you get there before 9:30pm for dinner, you can avoid having to pay the $7 cover charge. The central portion of the Cigar Bar is a patio area, where all the patrons go out to smoke their cigars. This is a really nice area, if you don't mind the cigar smoke. 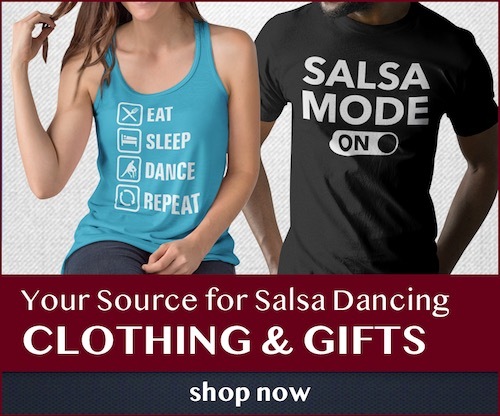 The last room is where the salsa dancing takes place. Sometimes they will have live music here, depending on the night. The floor is good for dancing, but is pretty small so it can be hard to dance when it's crowded. The dancers are a mix of beginners & regulars. Overall the Cigar Bar is a nice spot with a unique atmosphere. It's perhaps not the best spot to go if you just want to dance, but it's a great place to go if you want to have a good meal, enjoy some cigars & drinks, and get some dancing in. If you just like to dance but don’t like to drink or smoke, this place could be your nightmare. The patio is open and smoke easily go inside. People are dancing while holding their glasses. There is a highly chance that you bump into them. Also, The dance floor is a little bit bumpy. I was there recently with a friend. It’s a great place to listen to live music, and has a nice ambiance. The problem is that many people there that aren’t dancers (which in itself is fine) take drinks on the small crowded dance floor, and tend to bump into you a lot and spill their drink on you, or worse, break bottles on the floor. Not cool. This is my new favorite places to dance salsa. They have moved the band to another room with a very nice dance floor. I have been on Friday’s a few times and had a lot of fun! this is place is awesome, you can sip on a mojito have some food and then go outside and smoke a Cigar along a nice glass of wine, right around 10Pm you should be ready for some live music not just any kind of band, the best wow i had so much fun with my wife the 2 hour drive was worth it and about to do it everyother week !!! The floor can be challenging in heels but the music is always amazing! I like Cigar Bar as a great hangout. It is a LIVE music venue which immediately makes it special. They have a variety of small Latin bands that play on the small floor just past the bar. It is not a dance crowd per se, but there are usually a few dancers there to dance with or learn from! The bar is very nice with lots of great drinks and good food is served in that area too. You can buy cigars and smoke them or hang out with the smokers on the generous sized patio area (no smoking inside as per Calif law). There is also a pool room in back and another small room that is great for parties of up to 20 people across from the dance floor. Cigar Bar is a fun hang out and SUPPORT LIVE MUSIC when you go out! First time at the Cigar Bar and I was pleasantly surprised. You walk down the small entrance having no idea what awaits… a very spacious and well designed night spot. The dance floor will have a hard time handling the “Cocomo crowd” but it is what it is. I had a great time here and will definitely be returning. The cigar smoke from the courtyard was a bit annoying but I learned to deal with it. Highly recommended. Tight quarters on the busy dance floor Saturday nights! Restaurant side of the venue is quite classy and pretty though pricey, and there is a separate open patio area for cigar smoking. The dancing room is between the dining and smoking area; it has a bar, live band, variety of beginning- (more) advanced dancers, and a few obnoxious beams in the center of the dance floor. The band was great! long live songs between the DJ, and a mainly 20-30 somethings crowd. Very fun lively place with a unique vibe and tasteful decor. Would prefer not to inhale clouds of second-hand cigar smoke while dancing, and the dance floor can become dangerously tight, but would definitely enjoy going back! Love the place, my favorite salsa place to hang out. My wife and I went with our 29 year old daughter who is very much into Salsa dancing. While we don’t smoke; the atmosphere was very enjoyable. With the open air portion of the lounge, the cigar smoke wasn’t overwhelming and the drinks well made by curious staff. Music was very enjoyable and the dancing was a pleasure to watch!